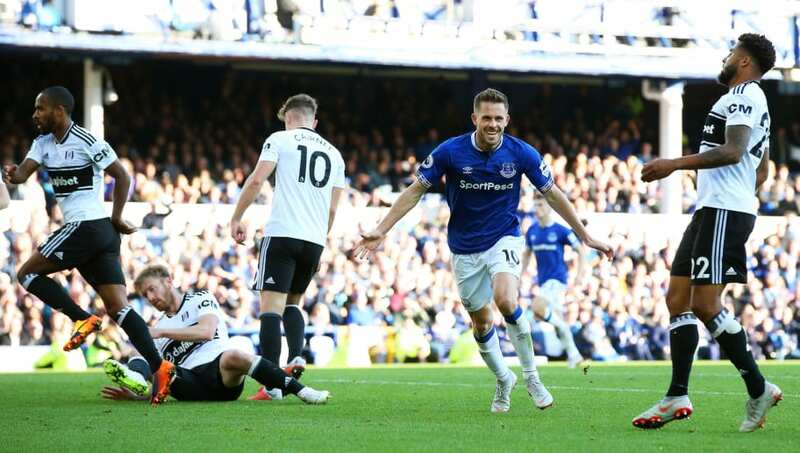 ​Everton travel to Craven Cottage on Saturday afternoon looking to make it four wins in a row against a Fulham side already consigned to the Championship, having lost their last nine games. Marco Silva's side have hit form in recent weeks, beating Chelsea and Arsenal at home as well as dispatching West Ham United at the London Stadium, scoring five and conceding none in the process. It could not be more different for the home side, whose 4-1 defeat away at Watford last time out confirmed their relegation. Despite this, manager Scott Parker will be desperate to try and secure the club's fifth home league win of the campaign this weekend. Despite suffering such a heavy defeat last time out Parker is not expected to make many changes to his Fulham starting lineup with the side not suffering any new injuries since they played last Tuesday. Alfie Mawson is close to returning from his knee injury however he is not due to be ready by this weekend. Floyd Ayite has returned to training this week and should be back in the squad although Ryan Sessegnon is due to keep his place in the front three alongside Aleksandar Mitrovic and Ryan Babel. Michael Keane is fit to return for Everton after missing the victory over Arsenal through illness and should replace club captain Phil Jagielka in defence. Morgan Schneiderlin (ankle) may be fit enough for a place on the bench but long-term absentee Yerry Mina (hamstring) is still out. These two sides have faced each other 62 times in their history, with Everton coming out on top on 30 occasions while Fulham have won 19 times and there has been 13 draws. It has been this weekend's away side who have had the better of the fixture in the league recently, winning eight of their last 10 Premier League matches against the Cottagers. Fulham have not had a win in the league against Everton since a 2-1 victory in September 2009. Fulham have lost their last five matches, conceding at least twice in each of them. They have managed to score in four of those five games but, as has been the case for the whole season, it has been their leaky defence which has condemned them to those defeats. Everton are in an excellent run of form having lost only one of their last five, winning their last three on the spin. They also picked up an excellent point at home to Liverpool in the Merseyside derby at the beginning of March. With relegation confirmed and confidence at an all-time low it is difficult to see Fulham picking up anything against a resurgent Everton side, despite home advantage. Their inability to stop conceding goals has been a problem all season and is not likely to change on Saturday afternoon with their visitors on a high having beaten three teams from the capital coming into this one. The Toffees are surely set to make it four wins on the trot and hand Fulham their 25th defeat of the campaign.